Contests counted: April 29-May 1, Portland, Ore.; May 26-28, Roseburg, Ore.; June 24-25, Chehalis, Wash.; July 30-31, Richmond, B.C. 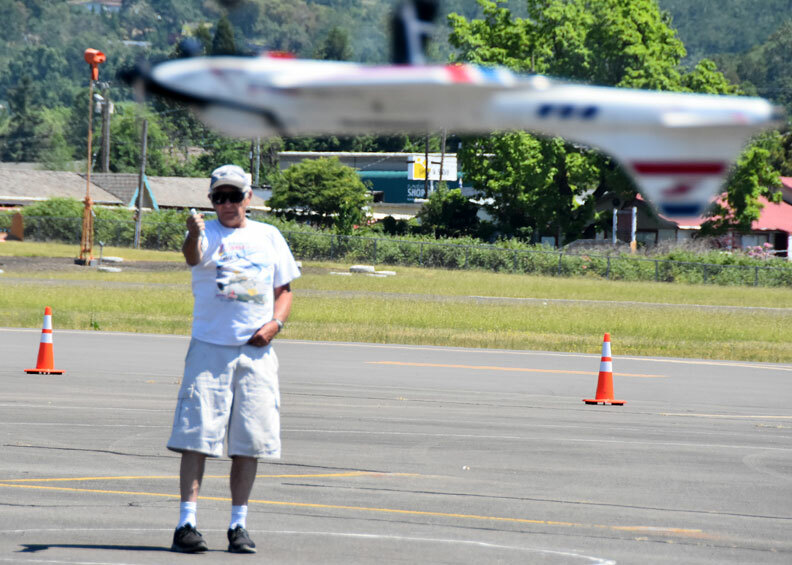 ; Aug. 11-13, Snohomish, Wash.; Sept. 16-17, Chehalis, Wash.; Sept. 23-24, Salem, Ore.; Oct. 7-8, Salem, Ore.; Nov. 25, Portland, Ore.
Paul Walker makes the winning Precision Aerobatics flight at the 2017 Northwest Control-Line Regionals. Flying Lines photo. 9 Fred Underwood West Linn, Ore.
Mike Hazel Oregon City, Ore.
Mike Haverly flies his Freedom 45 in Classic Stunt at the 2017 Northwest Regionals. Haverly won the annual Don McClave Vintage Stunt Trophy for the second year in a row. Flying Lines photo. The 31st annual Fall Follies in Salem, Ore., was the occasion for the awarding of the annual Don McClave Vintage Stunt Champion Trophy. The trophy was conceived by Don McClave of Portland, Ore., as a way of promoting interest in Classic and Old-Time Stunt. McClave sponsored the trophy for its first nine years, and since then it has been sponsored by Flying Lines. The trophy goes to the top scorer in Northwest competition points for combined Old-Time and Classic Stunt events. 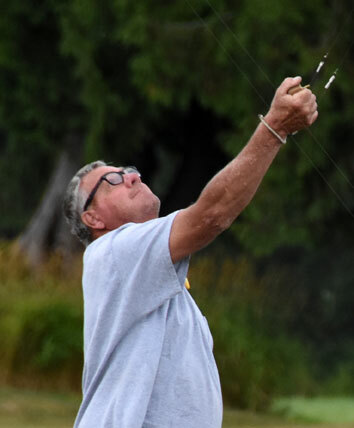 The 2017 winner was defending champion Mike Haverly of Auburn, Wash., who scored all of his points in Classic, using his Freedom 45 and Chizler airplanes. Winners have been Bruce Hunt (2006, 2008, 2009, 2010), Scott Riese (2005), Pat Johnston (2007) and Pete Peterson (2011, 2013), Alan Resinger and John Thompson (2012, tie), John Thompson (2014), Dave Royer (2015) and Mike Haverly (2016 and 2017). Mike Rule returned to the Northwest Combat scene in 2017 in a big way, capturing the Overall and AMA Fast Combat titles. Flying Lines photo. Mike Hazel was the Overall Carrier champ in 2017. Flying Lines photo. 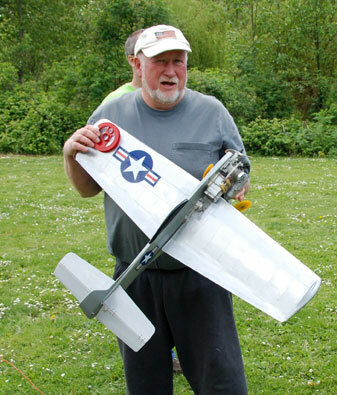 Mike Hazel reaches for his Northwest Sport Race plane en route to winning the November contest in Portland. Hazel topped the Overall Racing standings. Dave Powers photo. 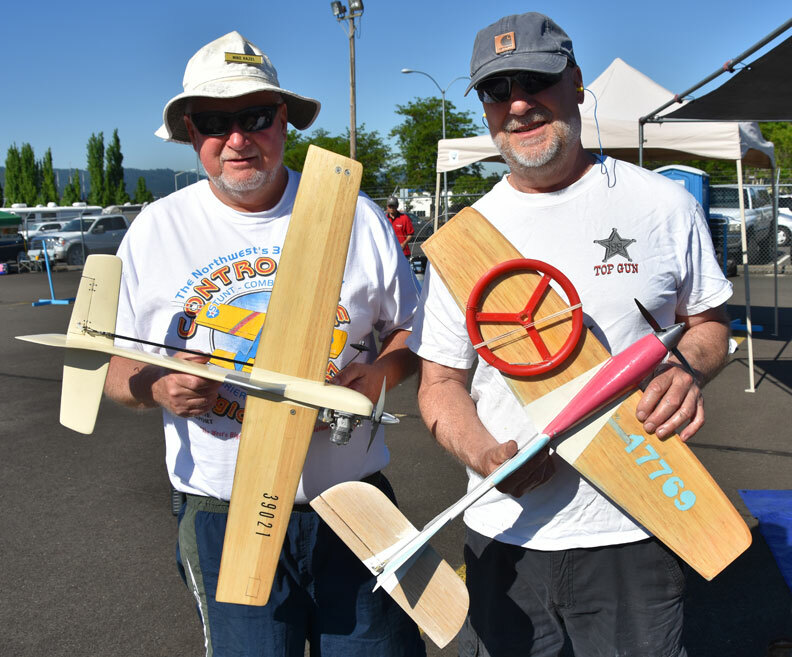 Ken Burdick (right) was the top Speed flier for 2017 and his Louie-Louie Team partner Mike Hazel was second. Flying Lines photo. Flying Lines keeps track of standings in all AMA rulebook and Northwest official events, in all Northwest sanctioned contests. Your FL editors do their best to keep up with the results, but contest directors can help keep the standings up to date by making sure to send the results to FL immediately after the contest. If you spot errors, please let us know. Results must include the placing in each event through fourth place and the report also must list the number of contestants in the event, in order for the point standings to be counted accurately. Also, please include in your report the hometown of the contestants. Only Northwest residents are counted in the standings (AMA Dist. XI and British Columbia). The score of each contestant also should be listed for general reporting purposes and for checking against the Northwest records. If you flew in a contest that doesn't appear to be counted, contact the contest director or Flying Lines. Who is eligible to score points: Any resident of AMA District XI or British Columbia. AMA Dist XI includes Oregon, Washington, Idaho, Montana and Alaska. What contests count in the standings: All contests taking place within Dist. XI or British Columbia, sanctioned by the Academy of Model Aeronautics or MAAC. How the points are awarded: Points are awarded to the top four placers in any event. First place is worth the number of entries in the event; second place is number of entries minus 1; third place is number of entries minus 2; fourth place is number of entries minus 3. Example: If there are 12 entries, first place gets 12 points, second place 11, third place 10, fourth place 9. Overall standings: In events with multiple classes, an overall points tally also is kept. In Speed and Scale, all classes are combined. Special notes: Precision aerobatics expert fliers' scores are multiplied by a factor of 1.5. When an individual is allowed more than one entry in a single event, only the highest-placing score shall be counted. Events run by nonstandard rules, including record-ratio events, will be counted only in the overall standings for the category. Send contest results, corrections and other correspondence regarding Northwest Competition Standings to Standings Coordinator John Thompson. For a printed copy of complete current standings for any event, send a self-addressed, stamped envelope, to Flying Lines, 2456 Quince St., Eugene, OR 97404. For a PDF copy of the complete current standings for any event, e-mail the standings coordinator. 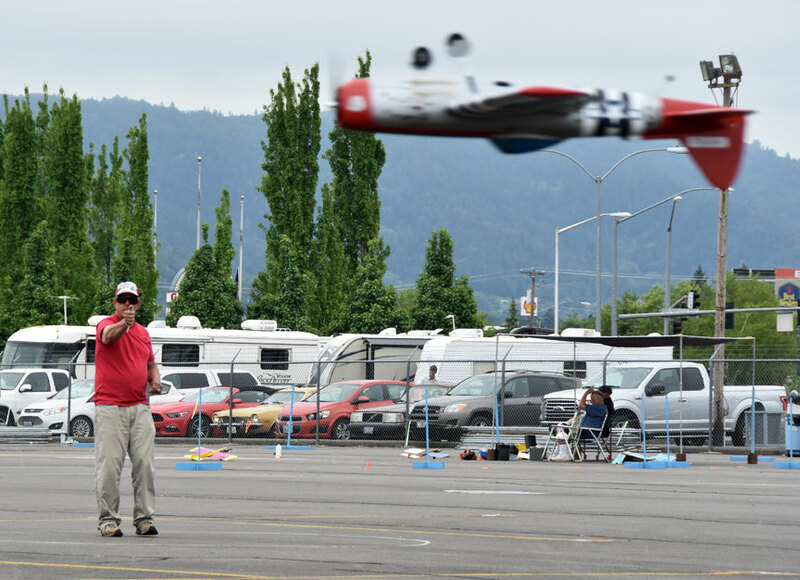 To see rules of all Northwest regional events, go to the Flying Lines Northwest Rules section. For Academy of Model Aeronautics national event rules, go to the AMA web site.